Firstly, Merry Christmas. Happy New Year. May this be a wonderful year full of blessings. As I write this, it is pouring outside. I was just thinking I’d have to water the garden, but all is well. I grew up on the other side of the country, outside Perth where it seemed we were always on water restrictions, and waiting for rain. 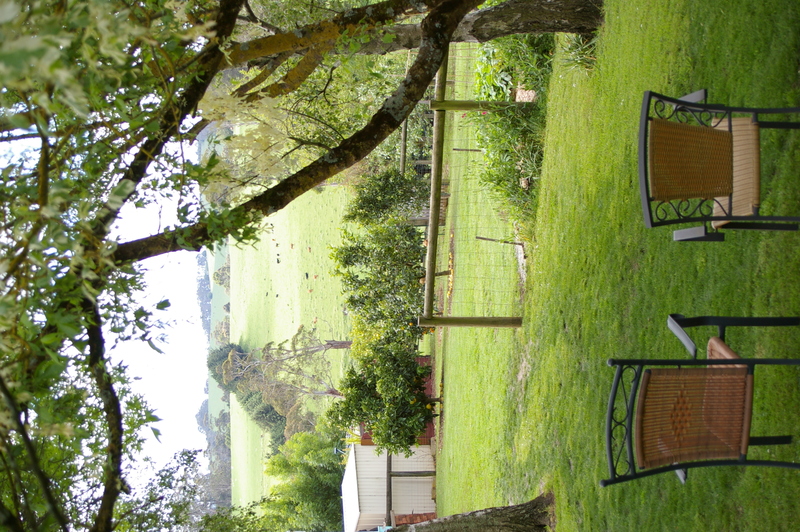 Rain was always a relief, and even now, after 10 years living in rainy Gippsland, I still feel safe when it rains. 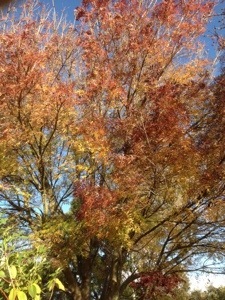 Even at the end of winter, I’m not sick of it. Even when it’s boggy outside, rain still makes me happy. 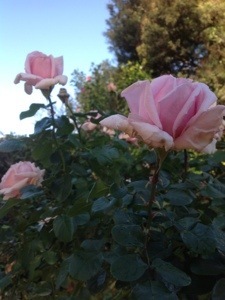 Especially today, when the garden was just starting to look thirsty. One of the best things about having a big garden is having lots of people in it. We were able to have an open house on Boxing Day, and the weather was perfect. 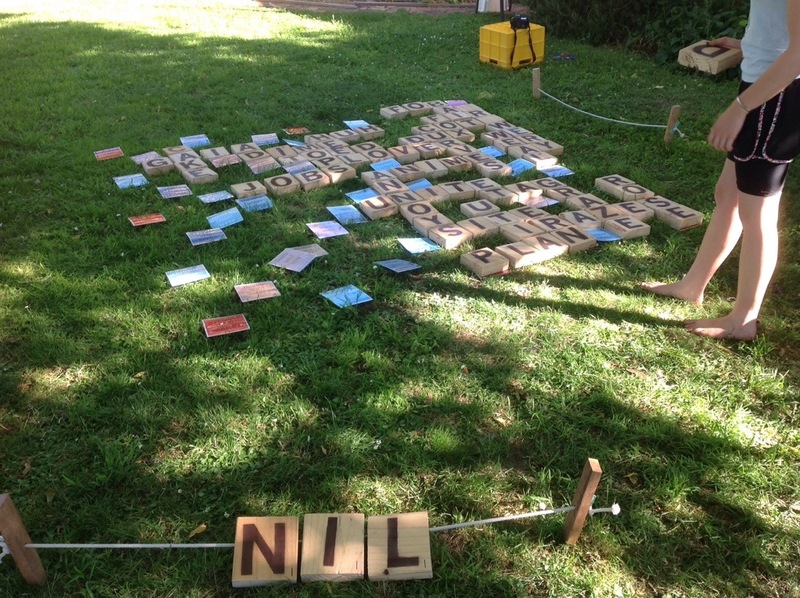 We played our new Christmas games, Finska (like 10 pin bowling meets darts) and my fabulous new backyard Scrabble game made by Missy Moo and the Aunty Collector, with some help from Mr Gorgeous. Yay kids, I love it! 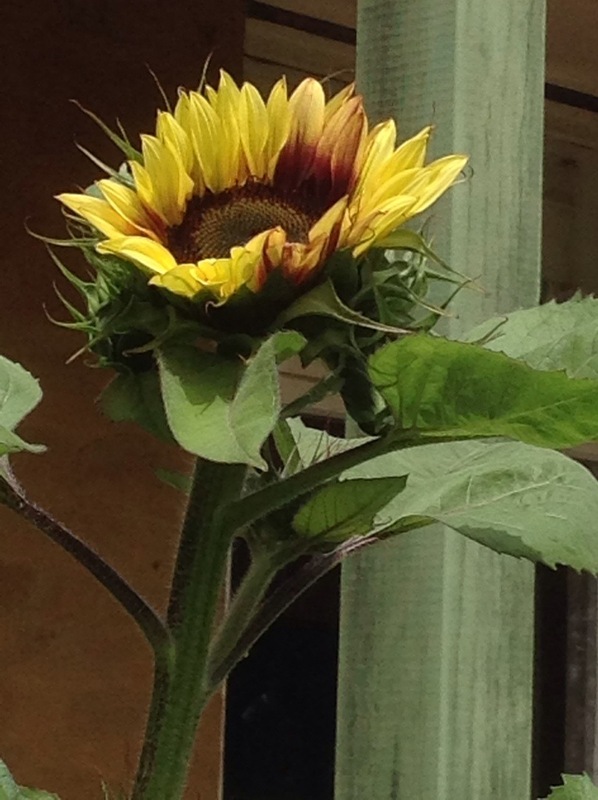 The first sunflower has just opened. I think last year’s flowers cross pollinated. I had a sunflower called Lilac Spray from Diggers’ Club and this flower seems to be half Lilac spray and half Giant Russian, judging by the height of the flower.Does anybody else have problems with their sunflowers leaning over. Mine seem to start lurching from a very young age. 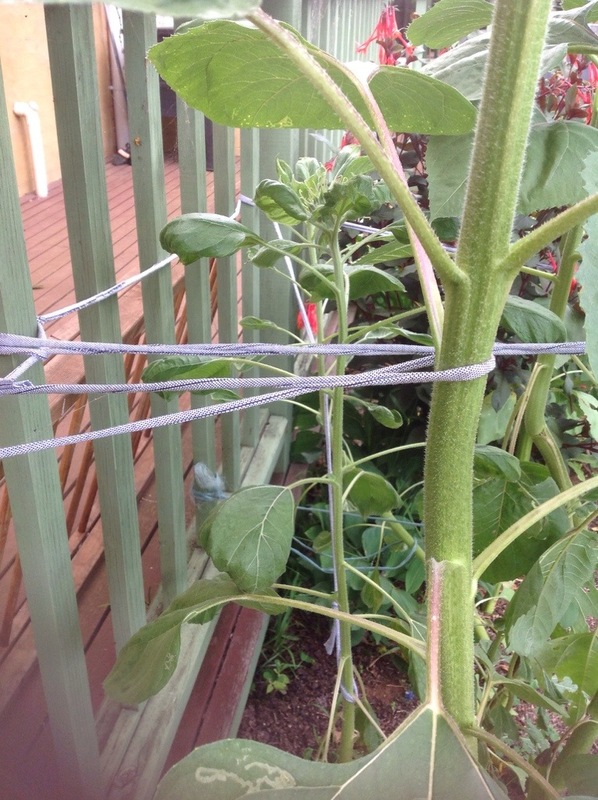 This year, and last, I have planted them near the back verandah, and have strapped them up with a maze of strings. The bottom isn’t so pretty, but my flowers are all standing to attention….except the ones down the back that I haven’t quite got to yet. These sunflowers are also just near the kennel of Mollie the Collie so hopefully she’ll stop them getting in too early. The seeds will go to our chickens once they’re ready. 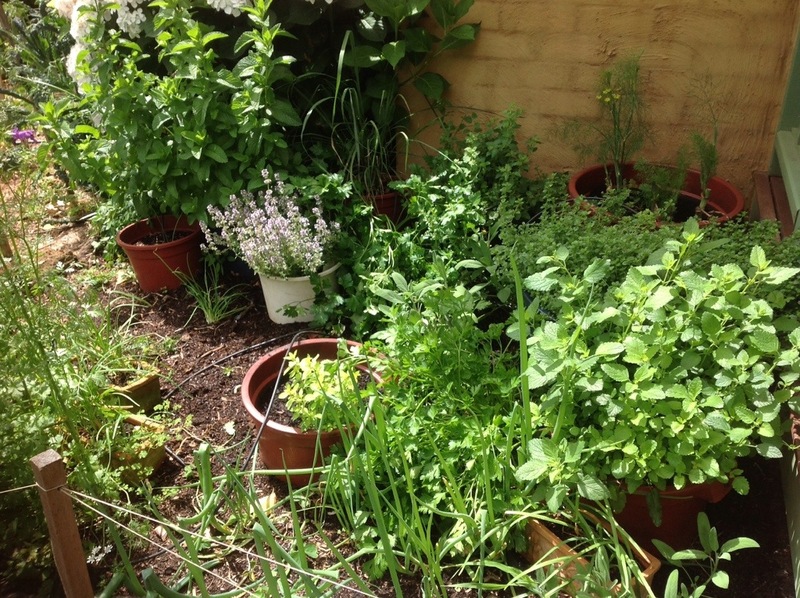 The herb garden is now a real riot of herbs, and is ready for another clean out. We’ve been eating lots of herbs in a happy accidental recipe discovery. We were given a sandwich press a few years ago, by some friends who stay with us when they go to the Phillip Island Grand Prix, and have discovered it makes great omelettes, cooking the top and bottom at the same time. So with our chickens giving us 5 eggs a day, it’s the perfect meal. I chop 5 or so herbs into individual dishes, then each family member can choose what herbs they want with their 2 egg omelette. Quick, easy, and the kids reckon they could eat it every day. Not to mention the fact that they feel like they’re ordering their meals a la carte. The tomatoes are a riot of leaves, and finally some fruit setting. I’m always late getting fruit, perhaps because I grow from seed, perhaps because I’m always late getting things into the ground. 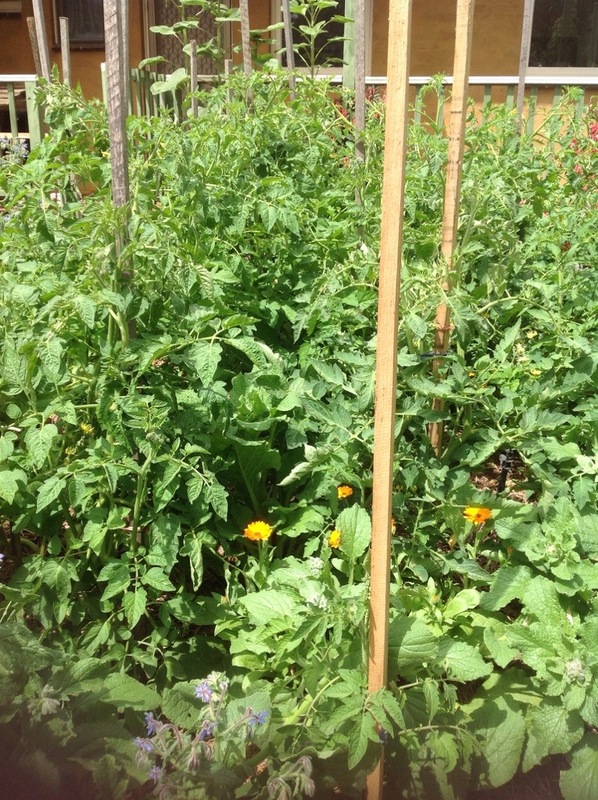 In amongst the tomatoes, (which are planted too close, but I’m quite thin, and I’m tying them up, and anyway I have a skinny kid if I get desperate) are a bit of calendula, and lots of borage. I’m pulling the borage out in succession to make way for tomatoes and putting it into the compost. We gave away an oven a few months ago to someone who turned out to be a permaculture teacher, and she told me borage was a compost activator. So far I’d only used comfrey. Are there any other plants that do the same thing? Anyway I’m happily pulling out borage. I’ll just leave a few to bring the bees. 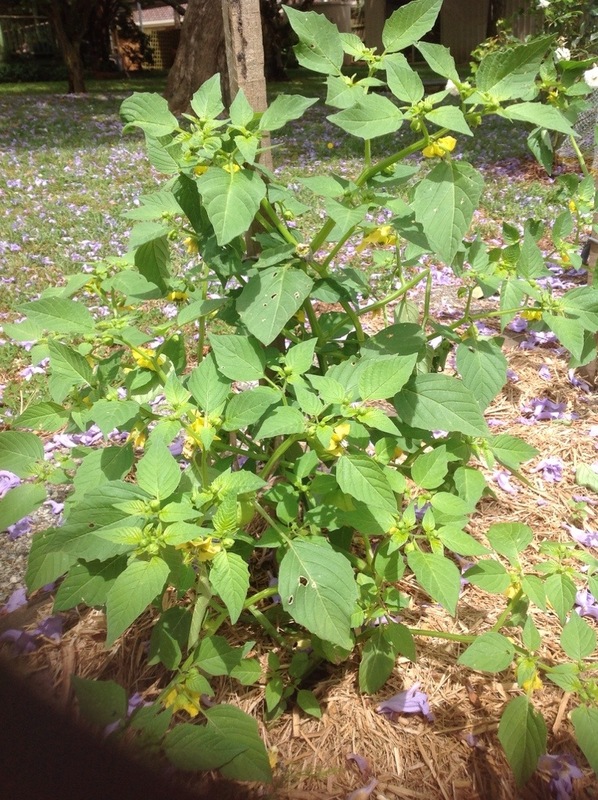 This year I’m trying tomatillos. 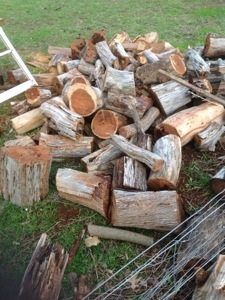 Last year I picked up a few at the West Gippsland Permaculture Group’s Swap table. (They are so kind…I didn’t even have anything to swap in) I made salsa which was delicious, even though I can’t remember what a tomatillo tastes like. So this year I’m growing my own. Maybe I’ll even take some up to the Rokeby Market and sneak them onto the WGPG Swap table! I know I say this every year, but I’m giving melons ONE LAST TRY. 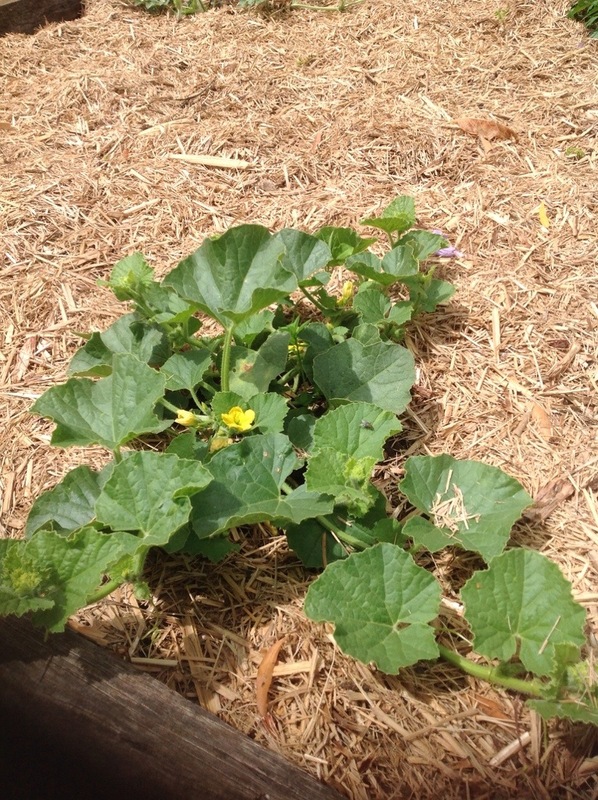 My excuse other years is that they were crowded by the pumpkins, and that’s why in the last three years I’ve had one measly rockmelon and not a single watermelon. I grow varieties that are designed for short summers (though perhaps not for the wintery conditions outside at the moment), so hopefully an improvement in their living conditions will encourage them to fruit. This bed is the site of the latest rampage by the chickens. The gate has dropped, and the wind blew it open I think. Then in marched the chickens. They dug for potatoes, scratched around the melons, and dug up quite a few of the capsicums, chillis and eggplants in this photo. I replanted those I found and gave the bed a good water and apart from a few that disappeared completely, they will almost certainly recover. No real harm done, despite first appearances. Some of the plants had been buried 4 inches deep. 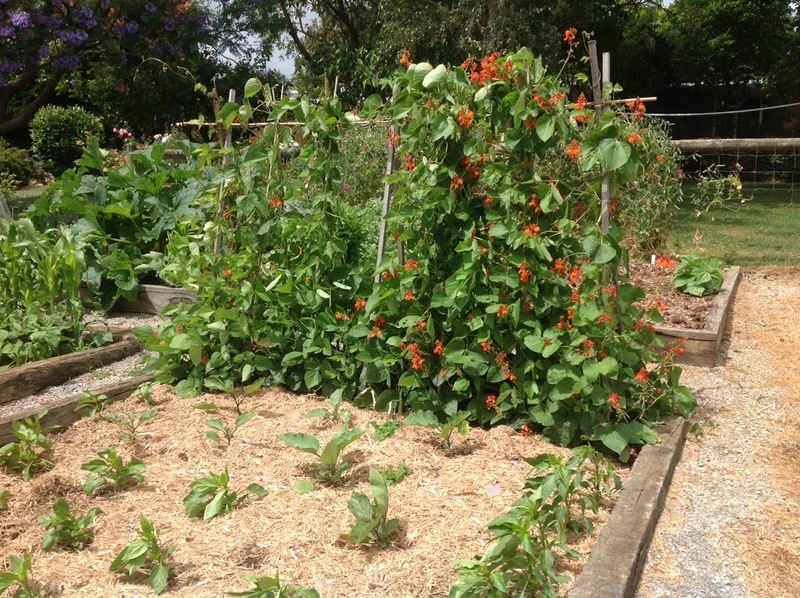 At the back of the bed are the scarlet runner beans. They are just showing a few small beans now, so probably 10 days or so until our first beans. My other beans got completely waterlogged, and so I replanted them yesterday. Perhaps it will work out for the best, and they’ll be ready after these scarlet runners are finished. Who knows? 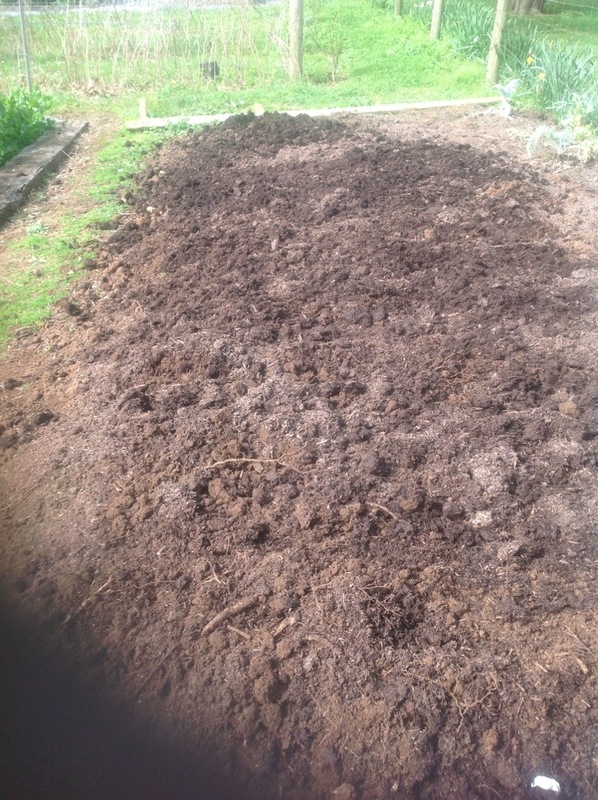 The potatoes are being dug up bit by bit as we need them. This end is the Kipflers which have been doing overtime in potato salads. The sweet peas behind are well and truly finished but have been beautiful enough for us to bring them inside despite the allergies. 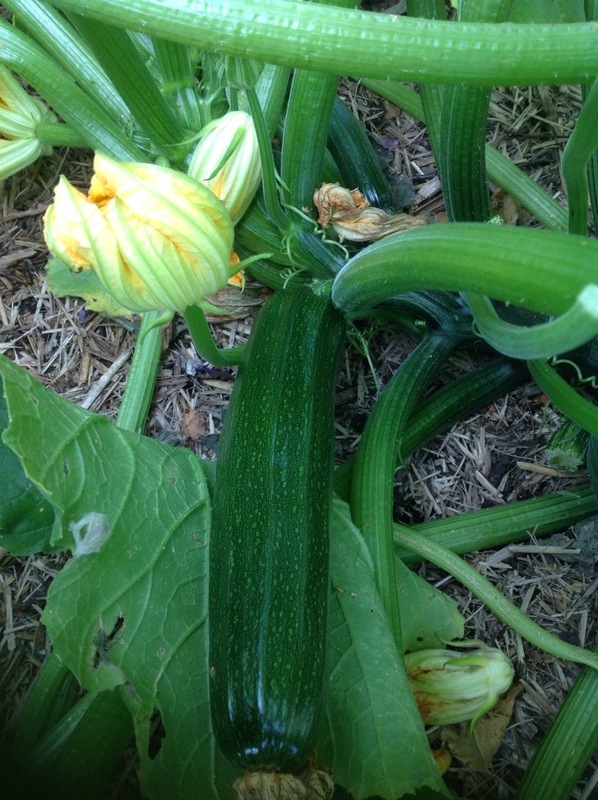 The zucchini glut is, I suspect, just beginning. All seven plants have thrived, and that is too many. Let me know if you need one! 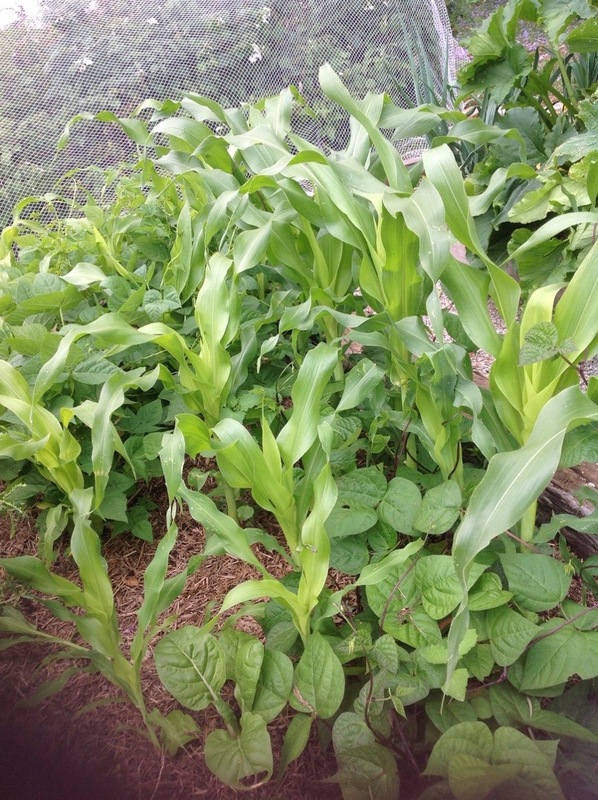 The corn is up and doing well. Oh, and more beans! I forgot about those! 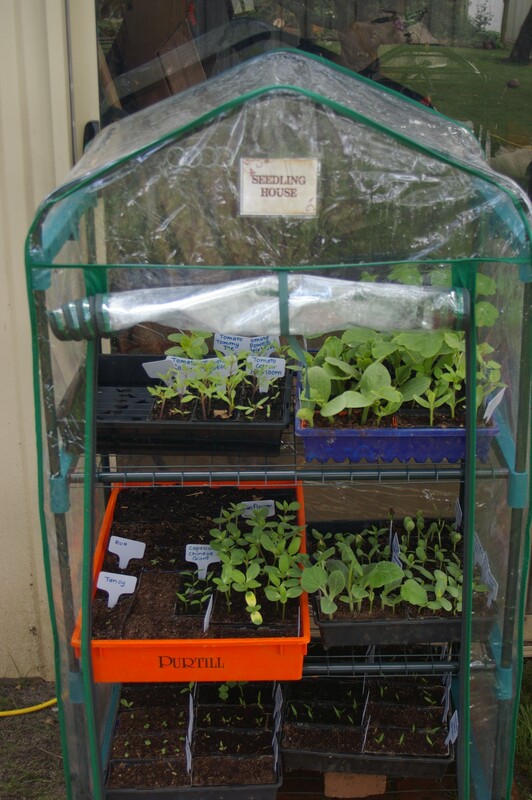 I’ve got a small time window in which I can plant a few last summer crops. I still haven’t pruned the lemon tree. 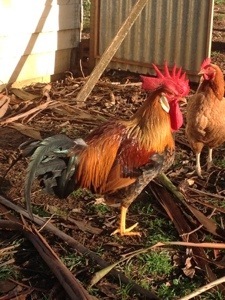 Also, I need to rethink how I do the chickens’ roosts. Every month or so, they all get a big fright as the roost collapses, and I rig it up again using wire loops and nails. There has to be a better way. 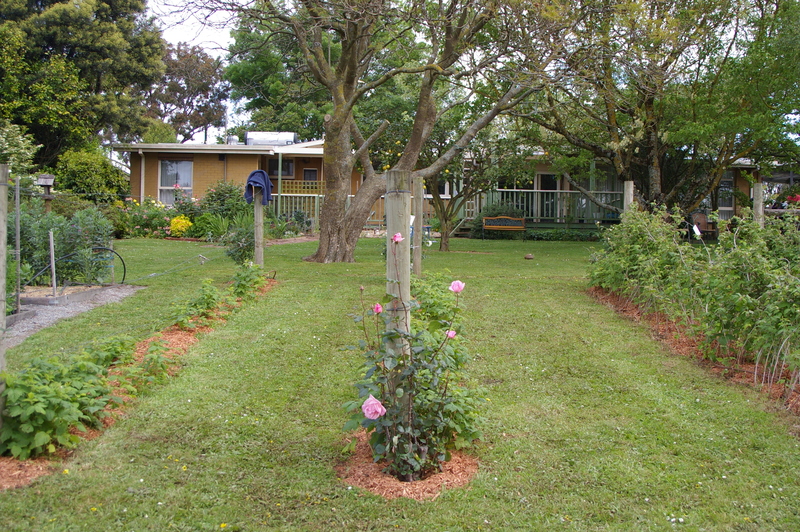 Thank you, thank you, thank you to all the people who planned, weeded, pruned, tidied, fed us, sat on the front desk, took photos, labelled trees, and generally helped out with open garden, and all of you who came, and were gentle with us! We’ve had the most enormous weekend, and it makes me realise how much we need our friends. I was wondering how I would keep the impetus going after the open garden (and to tell you the truth, the nana nap has featured big in my week! ), but now I’ve got just the thing. 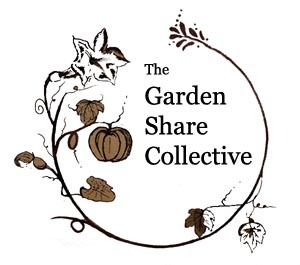 I’ve been asked to be part of the Garden Share Collective. Yay. That should keep me going at both the garden and the computer. More about that later in this post. So first of all, here are (quite a) few pics of the garden on open garden day, when most of the garden was looking its best. 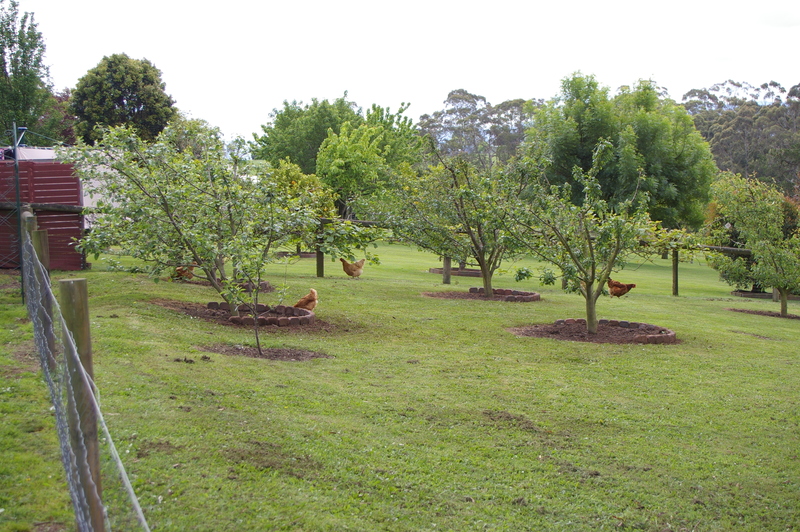 Mr Gorgeous has done the most wonderful job making companion planting beds under the fruit trees. We used the leftover bricks from the front of the house. 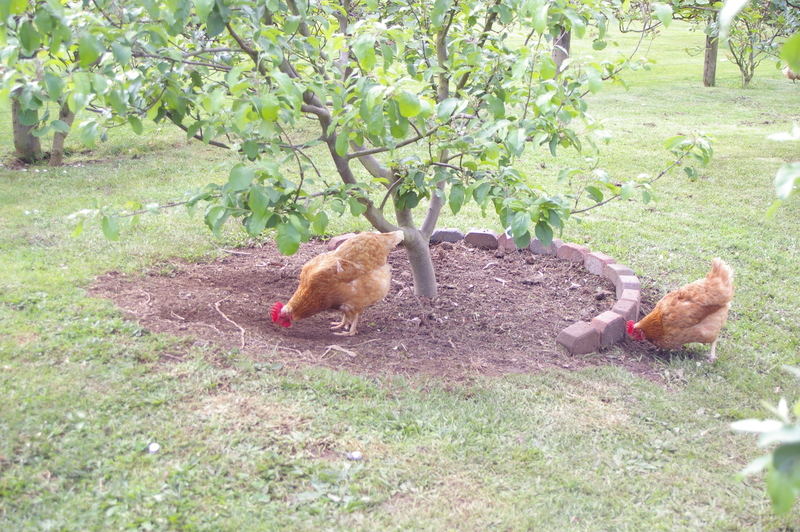 The chickens, however, think they’re the most perfect dust baths, so we’re yet to have that argument, which will involve large quantities of chicken wire until the plants are established, I suspect. Many of these seedlings probably should have been in the ground for open garden, but I was too frantic getting ready in so many areas of the garden that I didn’t have the brain space free to decide what should go where. So there they sat on Open Garden Day, but they were a good starter for conversation right where they were. 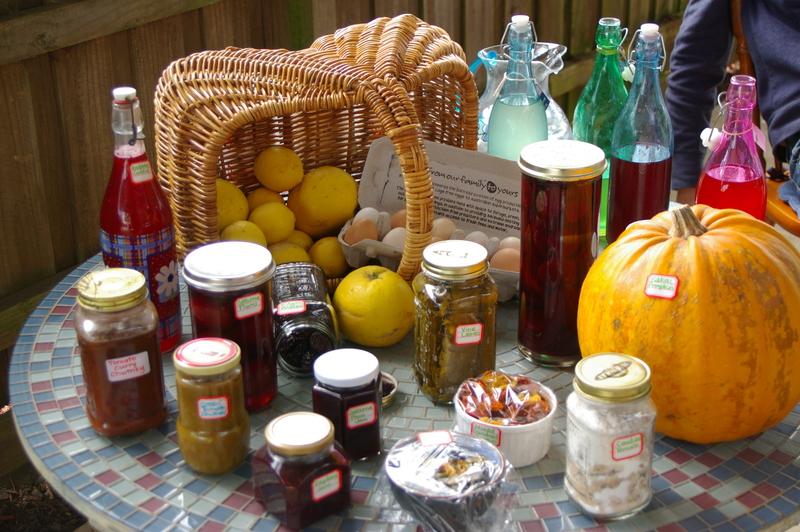 I made a display table for the day with some of the food I’d preserved during the year, and lots of cordial (raspberry, lemon and lime/ginger), which we shared with our visitors. Now that Open Garden is over, I have a booking with these chairs. 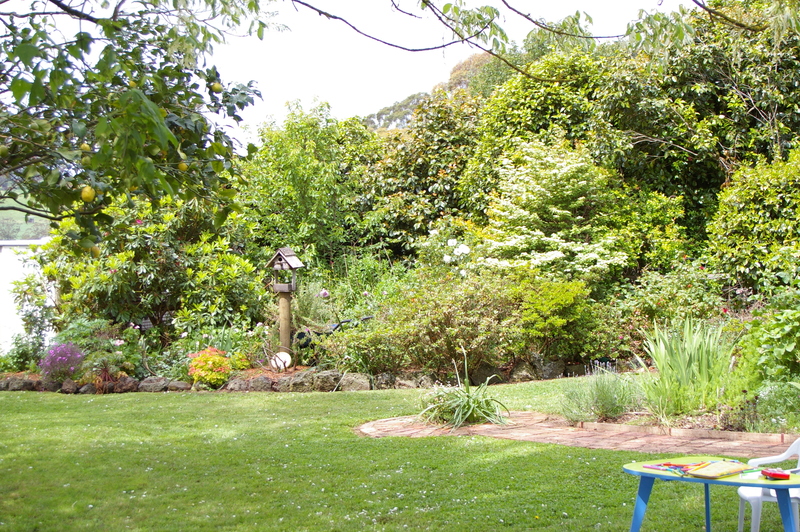 One of the lovely things about the Open Garden was chilling with visitors looking at what’s good about the garden. When I work in the garden I tend to see only the jobs, but having new eyes in the garden made me appreciate again what I have. 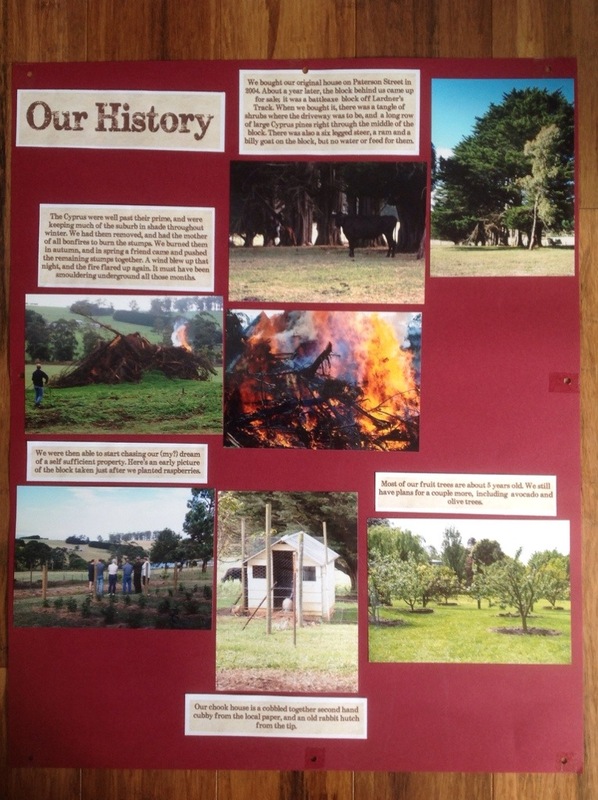 I made some posters for the day: one of the history of the garden, and another of our year. Now, to a mystery. I had a lovely conversation about tomato seedlings with someone on the day (A wonderful lady, I do remember that much) and then this lovely gift arrived during the week. 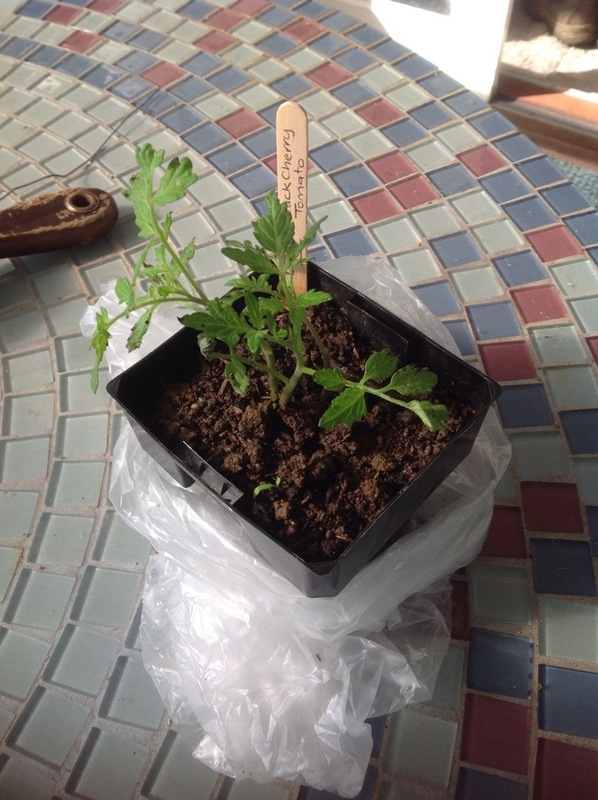 I have a tomato seedling here to return the favour, but I can’t for the life of me remember who I was talking to. Some of the day is a bit of a blur! 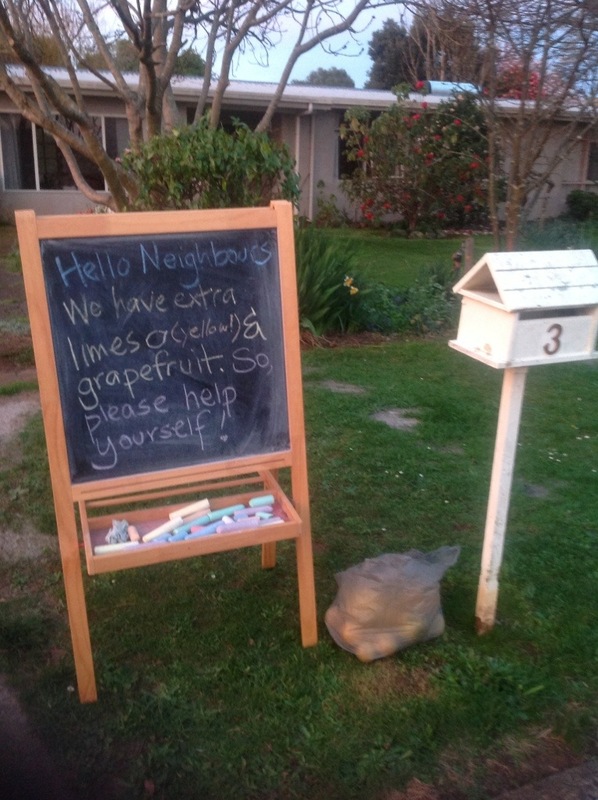 So if this is you, contact me, and I’d love to share my seedlings with you. So, onto what’s happening now. The Garden share Collective (you can click on the picture at the top of the blog to go there) is a bunch of people growing food, who share what they’re planting, harvesting, and what they’ll do next, in order to encourage one another. Here’s what I’m up to. 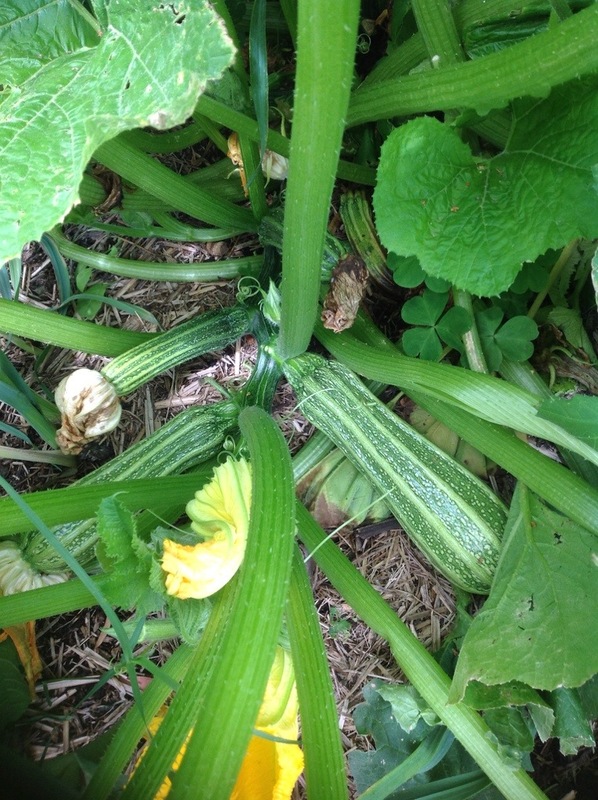 As well as putting in the other seedlings in regular beds, I’ve been making a pumpkin patch. 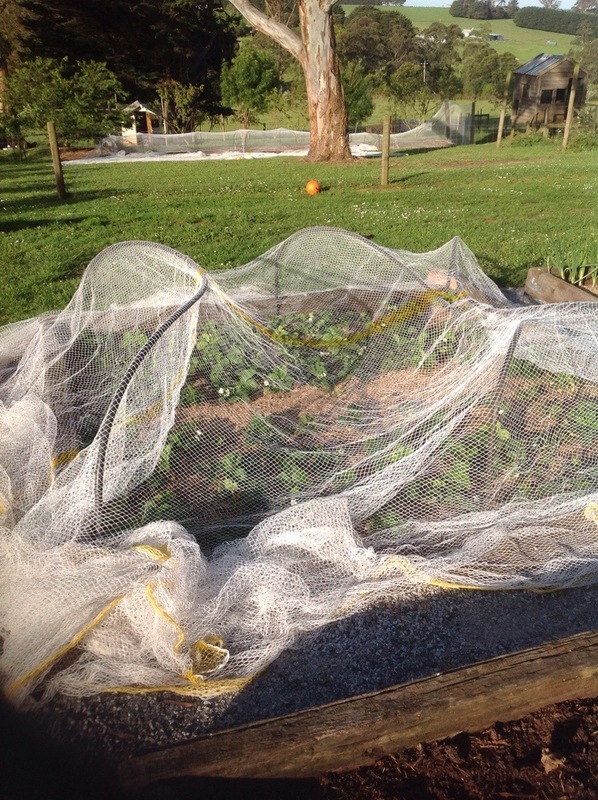 The netting is necessary as the chickens free range in this part of the garden. I have hammered thin bamboo posts into the ground, and joined them with poly pipe. I’ve then stretched a piece of old netting over the top, and then sewing up all the holes. The bottom edge is fully pegged down with some homemade pegs, thanks to some fencing wire and the next door neighbour’s generosity with his cutters. I’ll peg down the top (front of photo) once the plants are in. It’s also time to get in my beans and corn in, and to plant some more greens like mizuna and lettuce so they’ll be ready when this current lot finishes. I have been planting beans to dry the past few years, and I’ll do that again this year if I have the space. 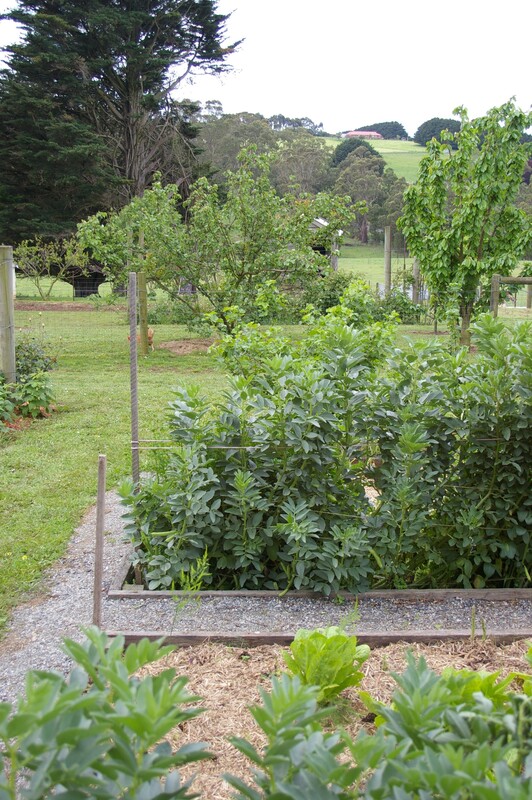 I have 2 big new veggie beds – surely I’ll have space. 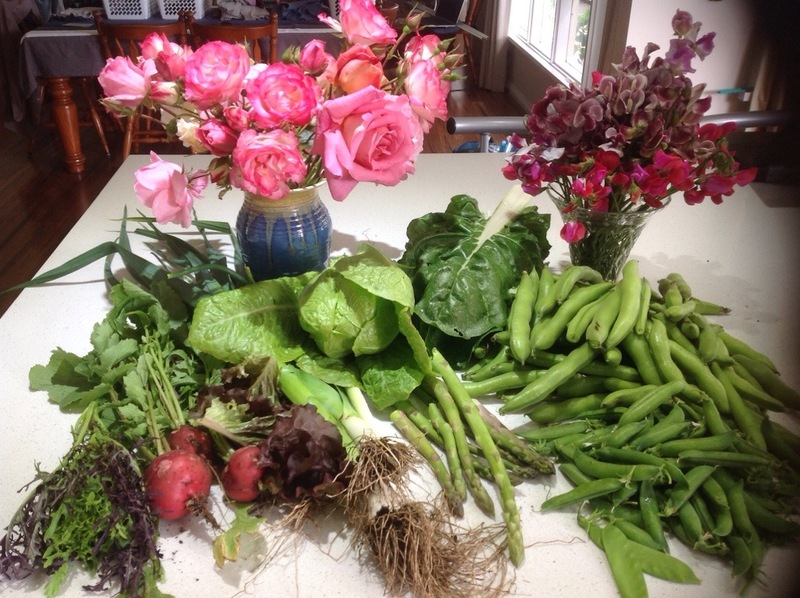 The day after Open Garden, I went around and picked lots of the stuff that I’d left there for people to look at, and the result was a big stir fry, a garden salad and 2 lovely bunches of flowers. 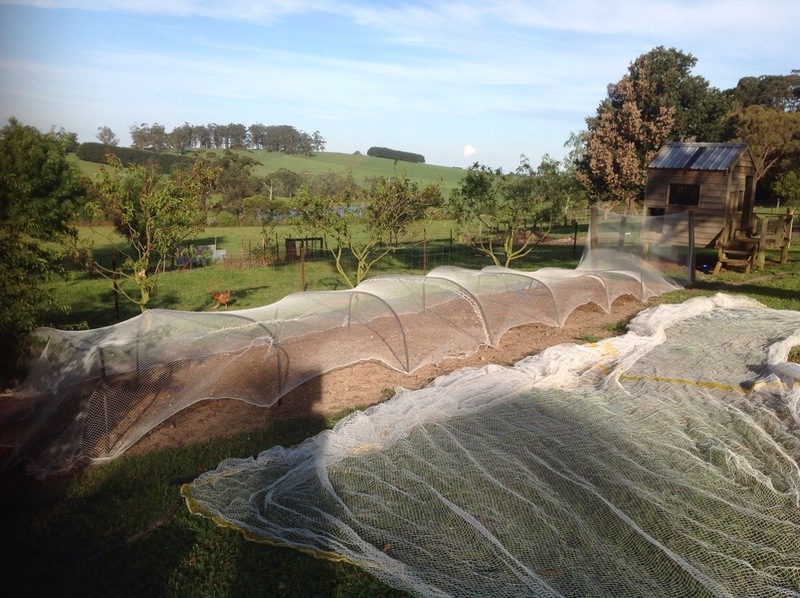 The strawberries have just started to ripen, and need better netting soon. 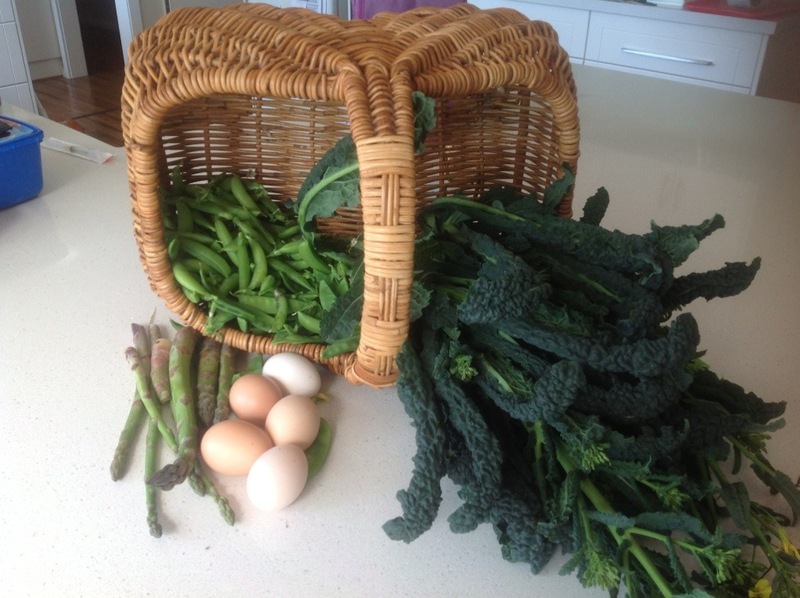 I’m also picking a bunch or two of asparagus every second day, and the peas and broad beans continue. Also, and very importantly, I plan to sit in the garden and enjoy it. I have done too much in the garden and not enough on the computer this week. Now I have so much to tell you all! 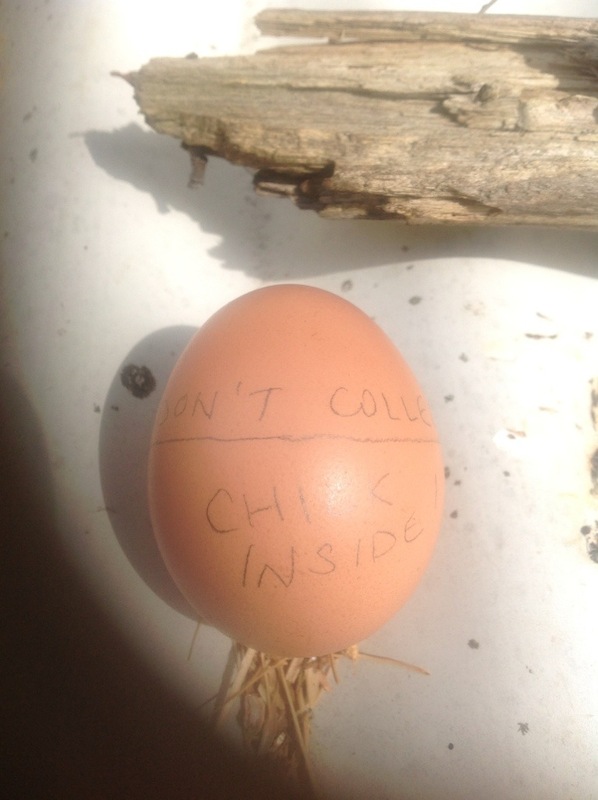 Firstly, one of our chickens has gone clucky, sitting, staring to space, even being willing to let me change the straw all around her without getting startled. I’ve had trouble getting the girls up and going once they go clucky, so this year I decided to give her some eggs to sit on. As we really have enough chickens already, I figured three eggs would be sufficient. So I labelled them to stop my helpful children from gathering the wrong ones, and set them under her. What I didn’t account for was the level of attrition. After 10 days, we are down to one marked egg. I don’t want to give her any more, as the hatching times will be too different, but I really hope this one is alive! I’ve got the potato crop in. 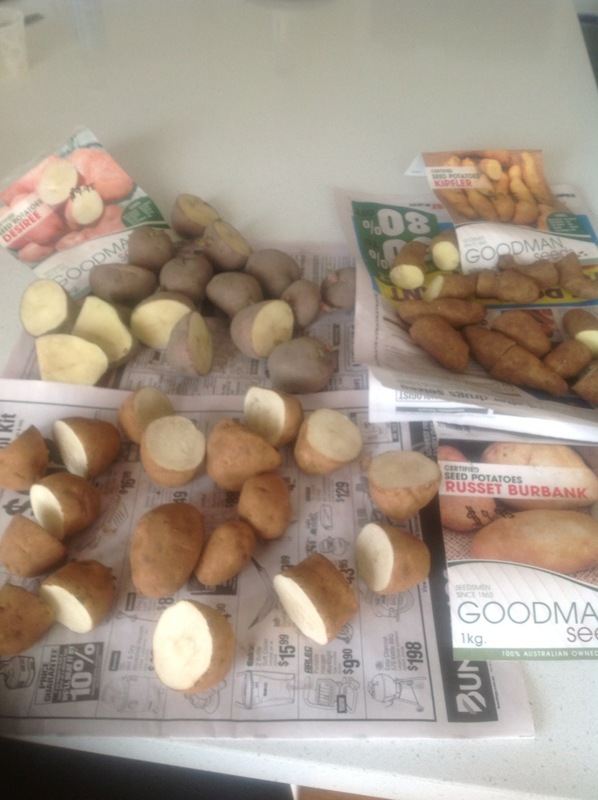 I chose three varieties; one for potato salad, one for roasting, and an all purpose. This won’t feed the family in just these quantities, but will keep us in potatoes for several weeks at least. The garden bed where I’ve planted them is not really finished, but I couldn’t wait any longer. 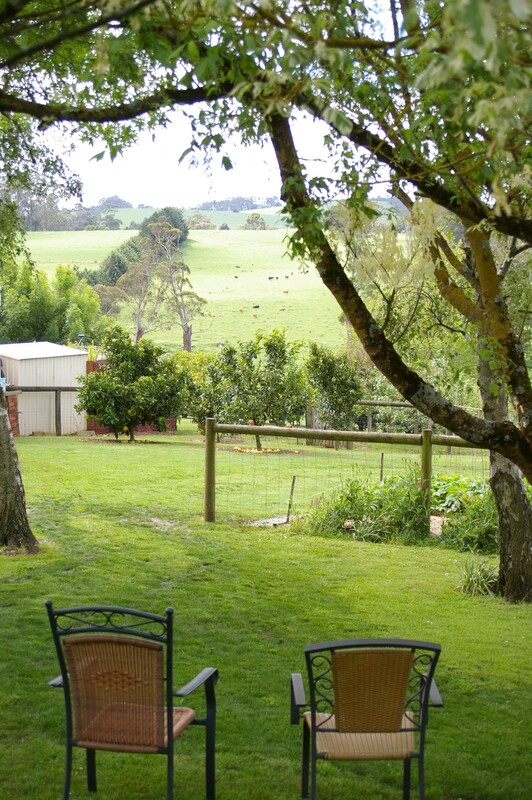 This is the place where we ripped up the old passionfruit rootstock earlier in the year. In breaking news, I had a big win at the local hardware store. 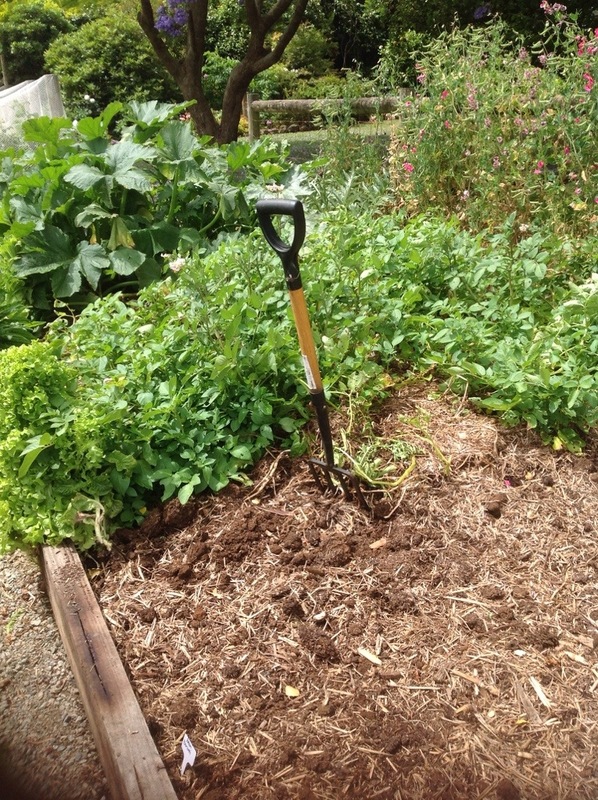 I’d been trying to get untreated sleepers to edge the bed, and was going to have to settle for something fairly quick to break down, but the store had just five hardwood sleepers left over from an earlier ordering mixup, which they gave me very cheaply, so I was a very happy gardener. It did involve me getting them home on the courtesy trailer, but even that is seeming less scary these days, since the nice man at the tip showed me how to back one. I would consider that our garden has two really big events each year. 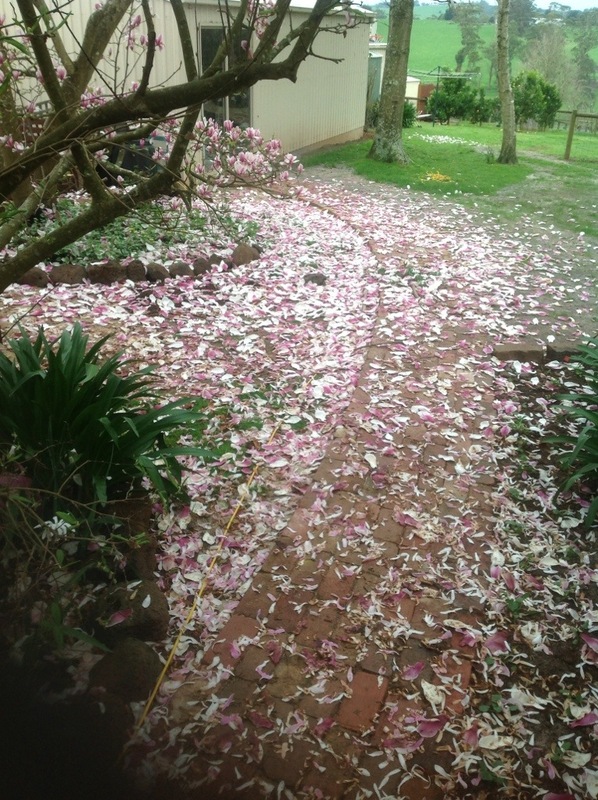 One is the raspberry harvest, and the other is the flowering of the magnolia. 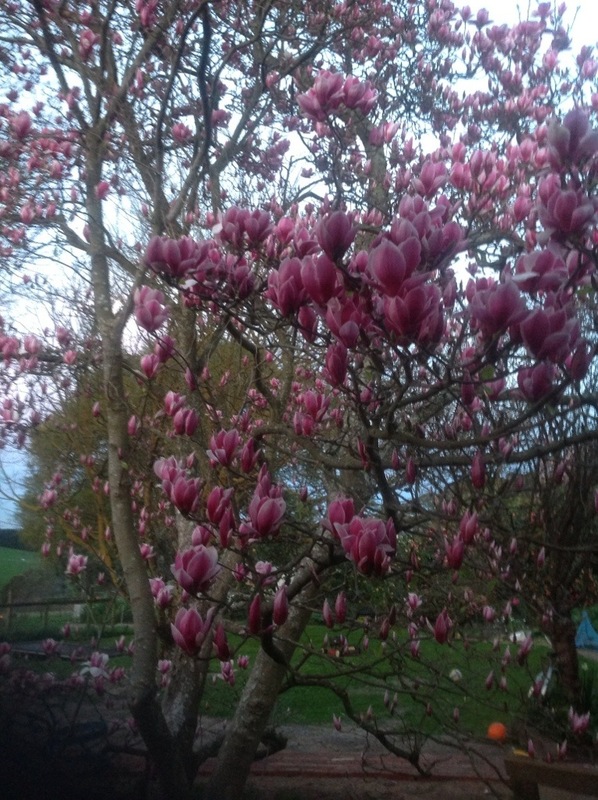 This signals time for our annual family photos, and is one of the main reasons we have stayed in our older house – the magnolia and all the other older trees. Our beautiful carpet hides the missing grass! 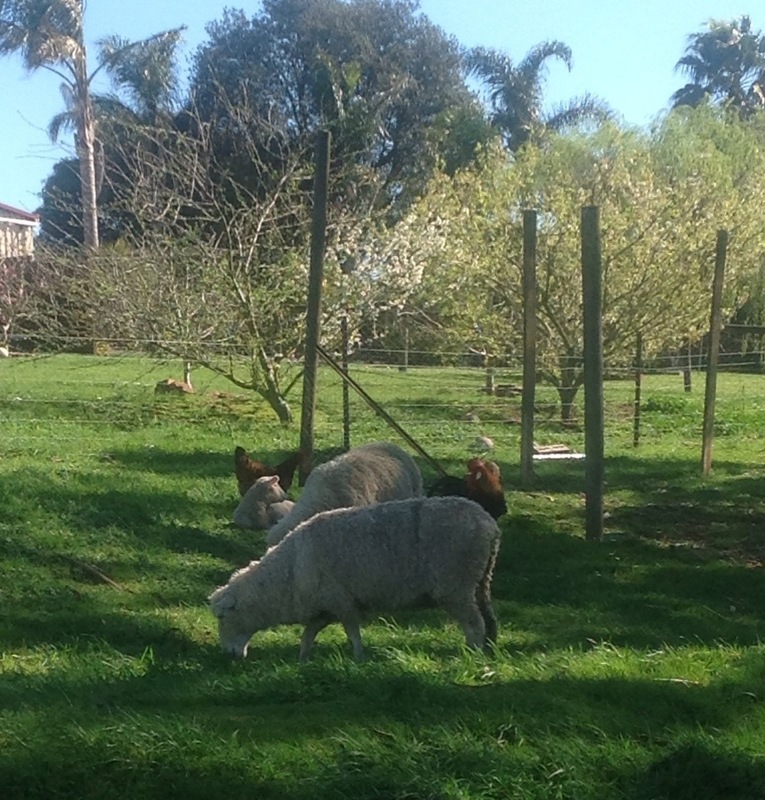 We’ve moved the sheep back home as the grass is on the move. 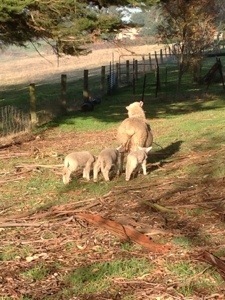 There are lambs galore at the moment. One of my favourite bucolic scenes! The garden is getting back into full productive swing after winter, and to celebrate, I’ve gone off shopping again! I need to buy dairy and some fruit, but with two sheep in the freezer, and about five eggs a day, we’re not really needing much at the moment. We even have too much of a few things, so I was able to give them away. I’m not always so generous with the extras, as I try to preserve what I can, so that I have vegetables through the winter. By this time of year, I have enough veg left in my freezer to make two big (tomato-ey) meals if you’re OK with lots of spinach. 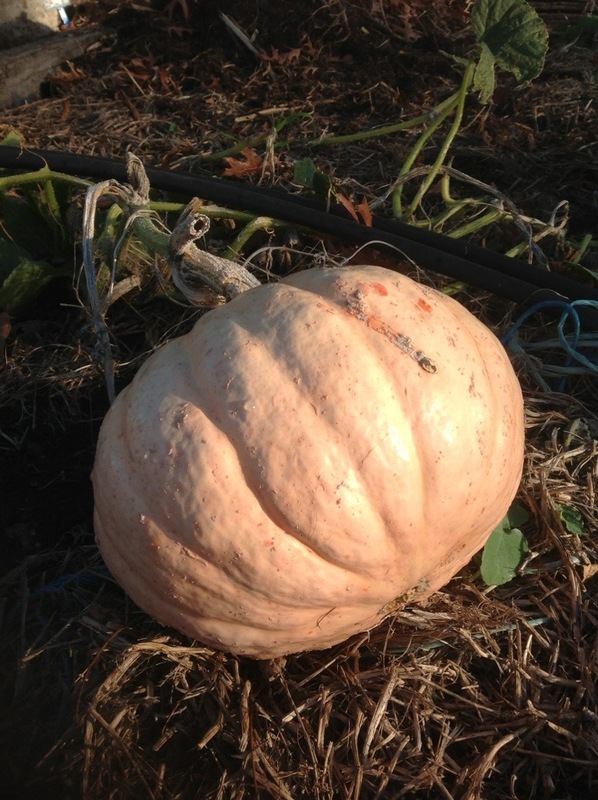 I used the last of the pumpkins on Thursday, so perhaps a little less Kakai, and more eating pumpkins this year! I’ll update on the grass front in my next post. We have some green, but not a lawn by anyone’s definition! Things are ticking over in our garden. I’ve been outside today, tidying up a little, and taking some photos. We’re in the middle of the Autumn leaf drop, so raking is keeping the whole family busy (we even have a family set of rakes!) So, in pictures, here’s what’s hot, what’s not, and a to do list for the next few days. 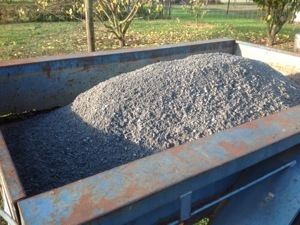 To keep myself accountable, I’ll not blog again until I’ve emptied that trailer pictured at the bottom. 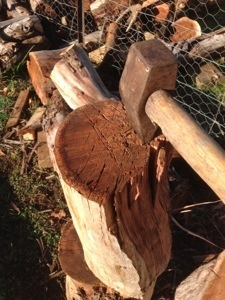 my terrible, terrible axe skills – 50 000 hits, and not one in the same place. When this log splits, it will be into toothpicks! The soon to be paths around one set of vegetable beds. 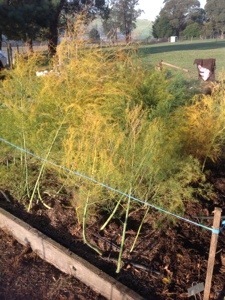 Prune the asparagus – Is it too early? July, in which we get ourselves in way over our heads!